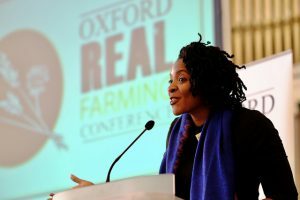 2019 was in for a great start with the much-anticipated Oxford Real Farming Conference! We were very fortunate to run a session on Food Citizenship, which if you attended – THANK YOU! The session was a great opportunity to share what Food Citizenship looks like in practice. To help me I was joined by two great speakers: Clare Hill from FAI Farms, who shared her experience of using a Food Citizenship mindset to change her approach to recruitment and to running the team on the farm, and Chloe Donovan from Hundred River Farm, who has extensive experience in the youth engagement sector and has grown up with Beccles Farmers Market. 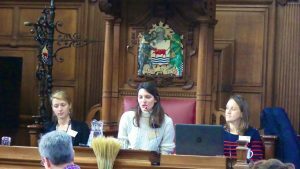 Being able to share this paradigm shift at the ORFC is so fitting, as the conference itself is a great example of Food Citizenship happening in practice. This is because it nurtures three key ingredients to support the Food Citizenship mindset. The first is feeling part of a community of peers. Among the beautifully heterogenous display of opinions, approaches and backgrounds, we all share the same values and hope for the a better future for all. Most importantly, we all believe in the power of people. 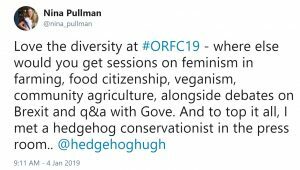 Check out Nina‘s take on the ORFC19 here. We come to the ORFC to network, to share our highs and lows, to learn from others. Together we create an incredibly rich and diverse conference programme (masterly coordinated by Tom and team! ), and create a platform to come together, feel heard, be inspired, and share resources – all crucial to inject us with the other two ingredients I find indispensable for Food Citizenship. What emerges from coming together is our heightened sense of power to create change. It is hard to believe anything can stand in our way when we are surrounded by 1,000 fellow participants filled with hope and energy (and knowing there are another 600 on the waiting list!). Furthermore, we also remind each other of the bigger picture, of why we came here in the first place. 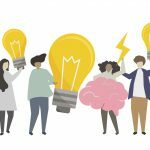 We are reminded of our higher collective purpose, the direction in which we all agree we want to head towards, even if we may have different ideas on how to get there. I certainly felt empowered by the incredible people I met (and the friendly faces I always love seeing again!). There is SO MUCH happening in the Food Citizenship space, although I don’t think most people realise this is what they are doing. I heard about The Golden Company, a Social Enterprise working to “improve wellbeing and employability of young people through stewardship of nature and its products”, namely beehives! I was introduced to Tiddly Pommes, who collect apples from people’s gardens and make local apple juice to sell around Oxford. I saw women farmers in Wales relate with the successes and struggles of women farmers in Zambia. I heard about how building communities around food, in areas such as Dartford, can combat exclusion and loneliness. They all empower, inspire and bring people together. How can we replicate these? How can we tap into the power of numbers (rather than only the power of scale)? Ultimately, and what is so refreshing about the ORFC, is the emotional authenticity that comes alongside the expected intellectual narrative. This welcomed and powerful new currency was beautifully embodied when the charismatic Barbara Hachipuka Banda broke into a song about seeds, soil and the power of people, to reply to an audience member. We are humans after all, and our emotional connection is equally important as our intellectual ability to share knowledge and ideas is. Listen to our Food Citizenship session here. 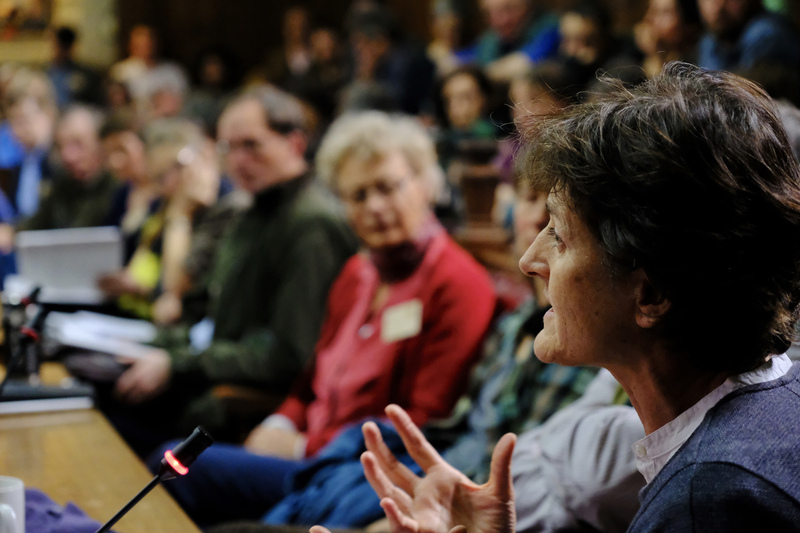 Catch-up on videos and recordings from the ORFC19 conference here. Featured photo and photo of Banda taken by Hugh Warwick at ORFC19. Food Citizenship session photo taken by Steven Jacobs from Organic Farmers and Growers.